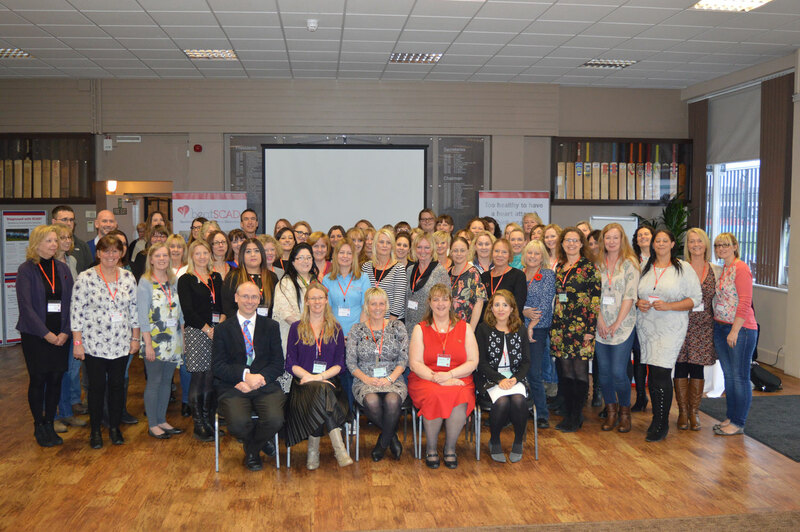 Thanks to everyone who attended the conference on 12 November – it was a very successful day. Below are links to the videos and presentations from the conference. We will add more in the coming weeks. Beat SCAD video promoting our first year’s successes. Dr David Adlam: What is SCAD? Charlotte – the importance of the research. Harriet – the importance of the research. Christine – how has SCAD changed her outlook on life. Harriet – how cardiologists can help SCAD patients. Christine – the hardest thing to overcome following a SCAD. Charlotte – the importance of meeting other SCAD patients. Steve – the impact of SCAD on families. Lauren – the impact of SCAD in families. Dr Adlam: What is SCAD? Anybody affected by SCAD (Spontaneous Coronary Artery Dissection) is welcome to attend. Our aim is to answer your questions, educate, inform and inspire you with all that life after SCAD has to offer. Dr David Adlam and Dr Abtehale Al-Hussaini (Dr Abi) who are leading the Leicester Biomedical Research Unit’s SCAD research programme are the UK experts in SCAD and have seen more SCAD patients than anyone else in the UK. They will be giving an update on the research so far and answering your questions about SCAD, medication, exercise and more. Other speakers will provide insights into life after SCAD, including psychological issues. Meeting other people who have ‘been there’ and ‘get it’ is invaluable for most rare disease patients, no matter how long ago they had their event. Family and friends also need support and the conference is an ideal opportunity to meet people who understand something about what those affected by SCAD are living with. There will be plenty of opportunities to talk to other delegates during table discussions as well as more informal networking, including the evening drinks reception. Our ‘Inspiration Board’ returns – why not bring photos of you doing something amazing after SCAD to share with the conference? What a difference a year makes: An update from the Beat SCAD trustees as we celebrate our first birthday. What to expect during the first couple of years after SCAD: A session focused on the specific needs of SCAD survivors and their families in the early days after diagnosis. Panellists for this session include Sally Bee, Heart Healthy Cook, Author and Presenter on ITV’s Lorraine Show, and Dr David Adlam, lead researcher on the SCAD project. Among other things, Dr Adlam will explain what SCAD is, common symptoms and how SCAD can be managed once diagnosed. Anxiety and exercise after SCAD: A session for those further along in their SCAD journey. Dr Abtehale Al-Hussaini and an exercise specialist will discuss some of the psychological effects of SCAD and how to exercise safely and with confidence. Going back to work – or not: One SCAD survivor’s personal story and her practical guide to negotiating this complex process. SCAD research: An update of findings from Dr David Adlam and Dr Abtehale Al-Hussaini (Dr Abi) at the Leicester Biomedical Research Unit’s SCAD research programme. Managing the psychological aspects of SCAD: Panellists discuss why hyper-vigilance and anxiety is a normal reaction to SCAD and what help is available, how to access it, how to achieve resilience, and how to talk to our children about SCAD. SCAD’s silver lining: A short discussion about the opportunities for Post Traumatic Growth (PTG). Q&A session: Ask Dr Adlam and Dr Al-Hussaini questions about all things SCAD. The full agenda and timings for the day will be available to delegates a couple of weeks before the conference. Below is a list of hotels near the venue. You can download this list here. Leicestershire County Cricket Club is easily accessible from the M1, Leicester city centre and railway station. M69/M1 Junction 21, take the A5460 along Narborough Road for approximately one mile. At the traffic lights at the junction of the Premier Travel Inn, turn right into Braunstone Lane. After approximately 3/4 of a mile turn right on to Duncan Road followed by first left onto Curzon Road. The ground entrance is directly in front of you. The Car Park at the Curzon Road entrance to the ground (LE2 8EB) has capacity for 200 cars. Bus information and timetables can be found at arrivabus.co.uk and firstgroup.com.